For those who want to make a difference, the first step out of the gate, is to know where you want to end up. Knowing the destination and height you want to take your organization to, for Tokunbo Abiru, the Group Managing Director/Chief Executive Officer of Skye Bank Nigeria, service, passion, perseverance and equanimity best describe him. 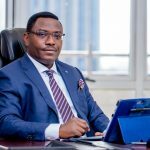 Since joining Skye Bank in 2016, Abiru’s ingenuity and leadership style has helped in changing the fortunes of the bank in less than two years. 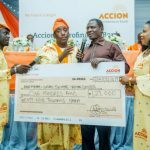 Within a short period at the helms of affairs at Skye Bank, Abiru has championed series of transformative business initiatives geared towards repositioning the image of the bank to the admiration of both the customers and shareholders. The Tokunbo Abiru led Skye Bank has been in the news since the beginning of the year, as the bank’s stock trading on the floor of the Nigerian Stock Exchange has become the delight of investors for five consecutive months running. Skye Bank’s stock against all odds has sprung up surprises, beating unimaginably the expectations of market players and industry watchers at several trading sessions emerging best performing stocks, leading the entire market. Recall that in January 2018 for example, Skye Bank traded as high as N1.55 kobo per share thus recording a growth of 210 per cent when compared with the year’s opening price of 50k. As usual, bargain hunters crept in and pushed down the price to close for the month at N1.47 kobo. Despite that, the monthly increase of about 194 percent then was the best percentage price recorded by any stock on the floor of the Nigerian Stock Exchange for the month of January 2018. In response to profit taking in the Nigerian equities market between February and April 2018, a situation which has seen many stocks give up the entire growth so far made in 2018, the stock price of Skye Bank though showing some levels of resilience but not being entirely immune to negative market trend progressively declined to 62 kobo as at the 11th day April, 2018. In a dramatic move, the stock staged a comeback to gain about 42% price reversal to 88 kobo on Monday 16th of April, 2018. Within this period, the stock price also remained one of the best in the market. The fresh rally which began on Wednesday, April 11, 2018 with a price growth of 4.61% had closed at N0.68 from the previous close of N0.65. That was just the start, on Thursday, 12th of April, 2018; the stock grew again by 8.82% to close at N0.74k before another growth of 8.11% on Friday, 13th of April 2018 closing at N0.80. Skye Bank Plc.’s bullish run yet persisted on Monday, April 16, 2018 as it led other percentage gainers gaining 10% above the previous close of N0.80 to settle at N0.88. As far as the Nigerian bourse is concerned, it will go down in history that the price performances of Skye Bank plc.’s equity made many investors and traders smile to the bank particularly in short term price appreciation. Many of them are hoping this continues into the future. On the factors behind the rallies, market analysts expressed positive opinions and confidence in the abilities of the bank’s current management ably led by Tokunbo Abiru. According to them, their decisions to invest in the bank’s stock stemmed from the belief that the Tokunbo Abiru-led management is already turning things around in the bank. Following the performance of Skye Banks stock, a lot of investors are indicating interest to be in the stock for the long-term – as much as the current management builds their confidence. 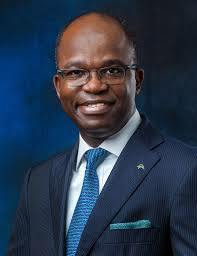 Not only has the Tokunbo Abiru’s led management team changed the fortune of the bank from almost being liquidated, Abiru has been described as a man with the ‘midas touch’, and within a period of less than two years, Abiru’s dexterity has helped stabilise and restoring the confidence of the Skye Bank’s brand among stakeholders. Abiru has successfully implemented cost management initiatives which have enhanced liquidity and efficient service delivery to its customers since the regulatory-inspired board reconstitution of the bank twenty-three months ago. Through his aggressive recovery initiatives, the bank has been able to recover over N60billion of outstanding bad loans within one year of mounting the saddle. Under his watch, the bank has been able to reach settlement and restructuring agreements with many of the chronic bad debtors resulting in substantially improved payments and prospects of future recoveries. In line with the bank’s broad mandate which includes cost management and optimization, as well as divestments to improve the institution’s financial position, Abiru has embarked on several measures aimed at restructuring and repositioning the bank. Some of the measures taken by Abiru within the last 22 months include: branch rationalisation, review of service contracts and cash management operations which have resulted in hundreds of millions of financial savings. Also, through some of the initiatives, the bank has successfully settled many matured trade and bilateral obligations and restructured outstanding balances with the relevant institutions and counterparties. Under Abiru’s watch, the bank has divested from four local subsidiaries releasing total cash value of N6.2billion. Skye Bank is one of Nigeria’s leading retail banks with over 360 branches and cash centers across Nigeria, offering banking and associated financial advisory services. The lender parades robust and best in class financial technology platforms and wide-ranging electronic solutions promoting consumer lifestyle and e-commerce experience for its customers.